Hello Friends,I hope you all are fine.As We all know Microsoft frequently releases Security and other essential updates for windows.These updates fix newly discovered bugs and flaws and increases efficeny and protection of Windows.If you don’t have internet connection or have slow internet then you can’t get the updates directly from microsft instead you have to use a third party utlity called Autopatcher. 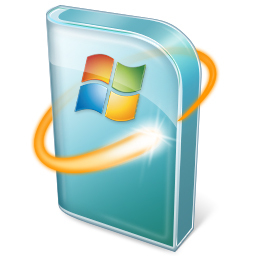 AutoPacher allows you to download for your windows Operating system and saves it for offline installation.This gives you the liberty to update any computer without internet connection. Carry your Pen Drive and Go to your nearby Cyber Cafe then downloadAutopatcher software from here. After downloading this software just install and run it. It will prompt you to select the OS for which you want to download the updates and click on Next button. Now Select your OS whether it is 32-bit or 64-bit supported. If it is 32-bit then select X86 otherwise select X64 and click on Next button. A list of all updates for your OS will be shown. Select all the Updates and click on Download button. After finishing the download just copy/paste all the downloaded updates in your Pen Drive. Now insert this Pendrive into your system for which you have downloaded all these updates and install them. That’s it! This is the best method to install the updates in Offline mode and secure your PC. This works for all windows OS (Window 7/Vista/XP).